Superior photography skills from decades of professional experience. The key to selling a home is the images used. The key to stunning images is to hire a professional. Properties with professional real estate photos are more likely to be viewed than properties that have no photos or poor quality photos. Real estate photography draws in the attention of a potential buyer. A professional real estate photographer can properly light and compose photos that attract buyers to MLS® listings. The small investment in professional real estate photography will increase a property listing’s appeal. 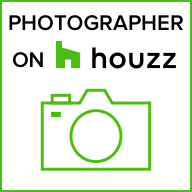 Your best choice for real estate photos in Coquitlam, the Tri-Cities, and the Fraser Valley is bOB HOmer of Capturing Spaces. Capturing Spaces is your go-to photography expert company. Professional real estate photography grabs the attention of a potential buyer. The key to selling a home is the choice of images! We always take the photographs to a whole new level with HDR and advanced editing. Photographs are taken at dusk to elevate the look of the property. Immerse your buyers in their soon-to-be new home with 3D scans powered by Matterport. Give buyers incredible insight into a property with 360 stills. Provide floor plans for a comprehensive listing with all of the important information. We make stunning feature sheets that save you time and money. Professionally captured videos to showcase your seller’s home. For stunning photography, with sleek lines and professionally composed images, call the experts at Capturing Spaces. We love shooting homes and architecture. What may seem like a simplistic design exists in contrast with the actual complexity of the engineering that went into creating the space. We like to show both sides of this dichotomy through our work. Capturing Spaces’ bOB HOmer has been professionally shooting architectural and real estate photos since 2004 and brings an art school aesthetic to his work. bOB will capture your home, office, building, or project like no one else can. We're based out of Port Moody but we also service clients with real estate photos in Coquitlam, Port Coquitlam, Burnaby, Vancouver, New Westminster, and beyond. So whether you need architectural photography in Langley or real estate photos in Surrey, call Capturing Spaces today!